Have you tried everything to get rid of your rundown old junk car? Are you sick of waiting for something to happen on an online auction for wreckers? Now you won’t have to wait. Turn your beaten, rusty, old vehicle into cash in a flash. We’ll take any vehicle, any brand, in any condition off your hands in all areas in Melbourne. And even better than that, we’ll do it for free! Great cash for car quotes and free removal service- what’s not to love? Give us a call at (03) 9701 8740 or 0409 145 434 or fill up the form on the right for your free cash quote today. If you’re happy with the quote, we’ll pick up your vehicle, give you the cash and remove it from your property for free. Could it get any easier? When we make you an offer for your vehicle, once you accept it you don’t have to worry about anything else except counting the cash when we give it to you. Car removal (or any other type of vehicle) is completely free of charge in Melbourne. To get your free cash quote and to arrange car removal just drop us a line at (03) 9701 8740 or 0409 145 434 or fill up the form on the right. Once we agree on the price, we’ll schedule the removal and you’ll have cash in your hand in no time. What a great deal! Get your free cash quote today. We’ll take care of the rest. We’re not picky or choosy about the types of vehicle or models we remove, but the brands and models we typically work with are listed in the links below. If you don’t find your vehicle listed, there’s no need to worry. Call us at (03) 9701 8740 or 0409 145 434 or fill up the form on the right with the details of your ride and we’ll take a look at it and make you an offer. Throughout Melbourne, from Dandenong to Pakenham and everywhere else in between, our car wreckers in Dandenong are there to service your area, including Pakehnham. We will give you top dollar cash quotes for your vehicles and include free car removal service in the deal. 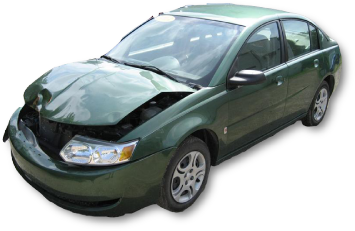 Read more about our car wreckers Pakenham services here. Our car wreckers in Morwell and the Warragul service all the areas there- from Melbourne to Morwell and everywhere else in between. Not only will they give you great cash for car offers, but they will also remove your vehicles from your property completely free of charge. Find out more about our car wreckers Morwell and Melbourne at this link. Do you have a car that needs some repair, but don’t have it in your budget to buy brand new parts? Choose from our extensive inventory of quality used car parts that have gone through our meticulous and careful quality screening. Not only will you save on the cost of the parts, but you’ll have the peace of mind in knowing that the parts we offer are in good condition and safe for using in your restoration or repair works. For more information on the parts we carry or to find out if we can get a particular part you need, visit our second hand car parts page. Once we’ve agreed on the offer for your unit, we can make arrangements to take the vehicle off your property for free. Book the time and date for the removal and expect our team to be there on the dot. Not only will you get cash for your car, but you’ll also be getting our excellent removal service for free. You can’t find a better deal than that. Book your free vehicle removal online here.